Imagine it’s January, the coldest day of the year, and you climb into your freezing car and turn the key, expecting the glorious sound of combustion. Instead, you hear clicking, maybe a little catch, and then nothing. It’s late, you’re tired, and now you’re trapped in a Maple Grove parking lot with a dead battery. You can drop by our service center for advice, or you can follow these tips to do it yourself. Where You Live: Extreme cold and heat can wear a battery down faster. The Condition of your Charging System: If your alternator or starter are in bad shape, they can wear your battery down faster. Short Drives: If your daily drive only takes you from Maple Grove to Brooklyn Park and back again, you could find your battery wearing out faster than if you spend a lot of time exploring Minneapolis. Corrosion: Corrosive build-up on your battery terminals can prevent the battery from charging properly and lead to premature death. In general, a good battery should last 5-7 years but should be checked after 4 to make sure it’s still doing its job and to help avoid any extra unplanned maintenance costs. Which Terminal Do You Take Off First? If your car has covers over the battery terminals, remove them carefully and check for damage and identify the positive and negative connections. The positive may have a red cover, while the negative may have a black one. If neither has a terminal cover, look for the + and – sign to indicate which is positive (+) and which is negative (-). Put on a pair of gloves and, using a wrench, loosen the connection on the negative battery terminal first. Avoid touching anything metal to both battery posts at once; this could short out your electrical system. Remove the terminal cable and secure it out of the way. Do the same with the positive side. 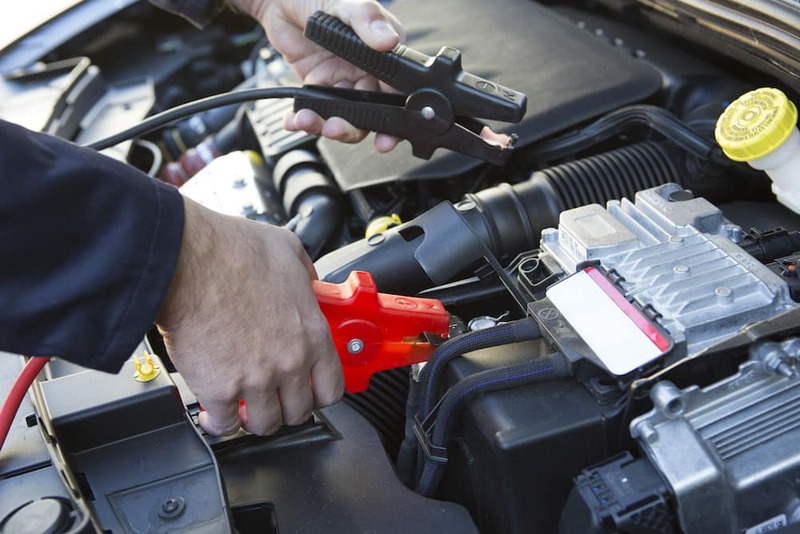 Remove the clamp or strap holding your battery in place and lift it out of the engine compartment. Use caution, these batteries can be heavy! How Do You Reconnect a Car Battery? Reconnecting the battery follows the same process in reverse, but with the added step of cleaning off the terminal cables before you reattach them. If you haven’t already, add special pads designed to go around the terminals and inhibit corrosion. They don’t cost much and can be found at most Minnetonka parts houses or in our parts department. If you prefer to spend your time enjoying Minneapolis rather than changing your car’s battery, we can help with that too. Simply buy your battery from us, and we’ll put it in for you at no additional charge.